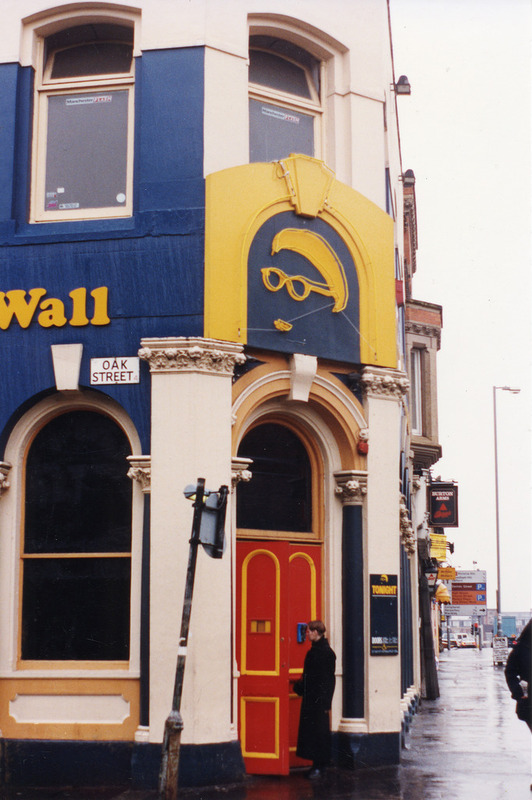 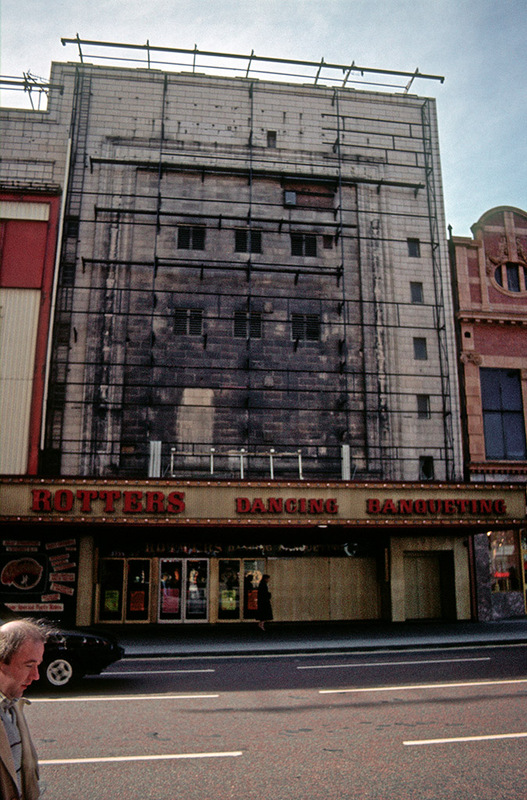 Rotters night club, formerly the Gaumont cinema on Oxford Street in 1987. 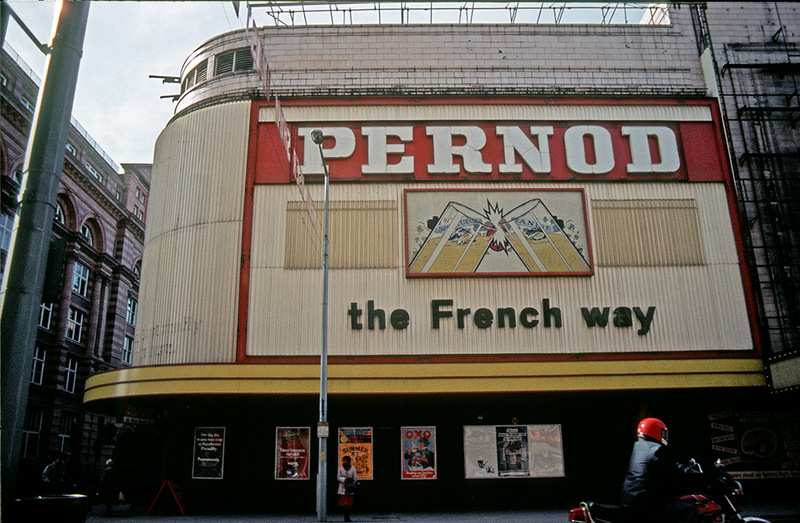 Rotter’s night club, formerly the Gaumont cinema on Oxford Street in 1987. 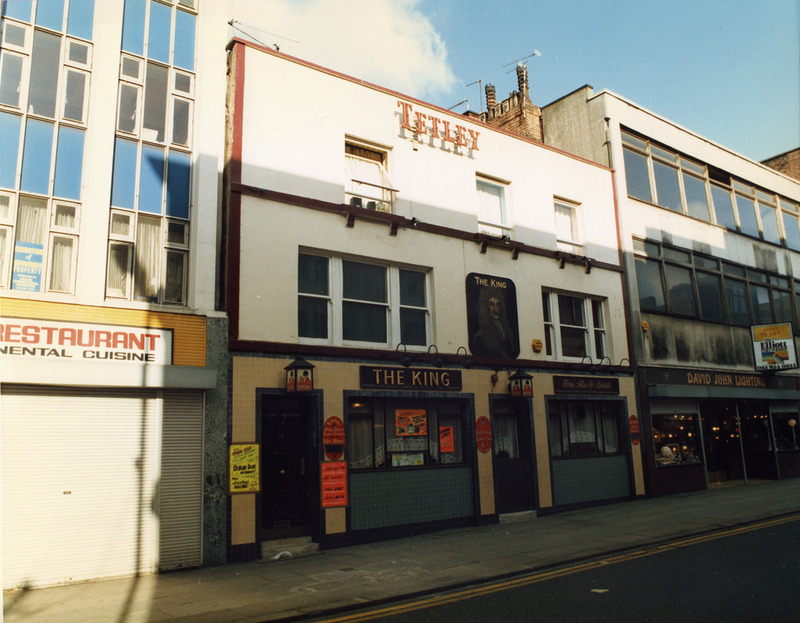 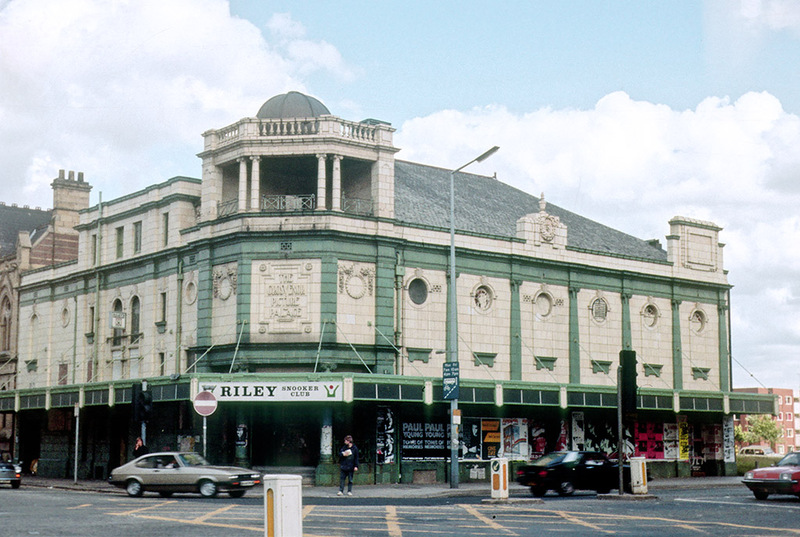 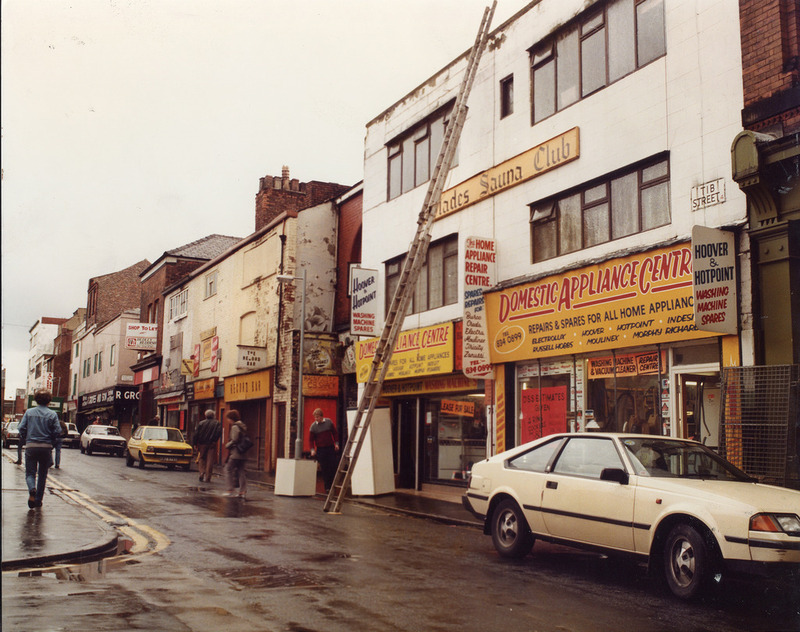 The Grosvenor Picture Palace building at All Saints, photographed in 1985 when occupied by the Riley Snooker Club. 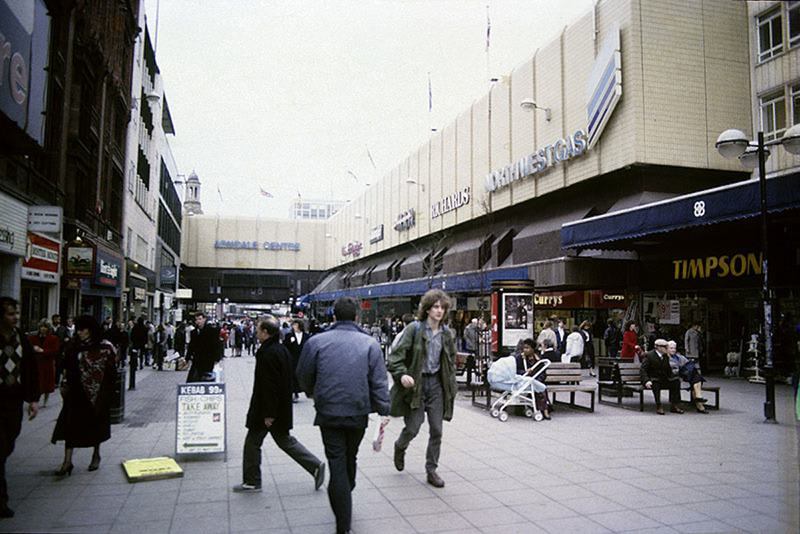 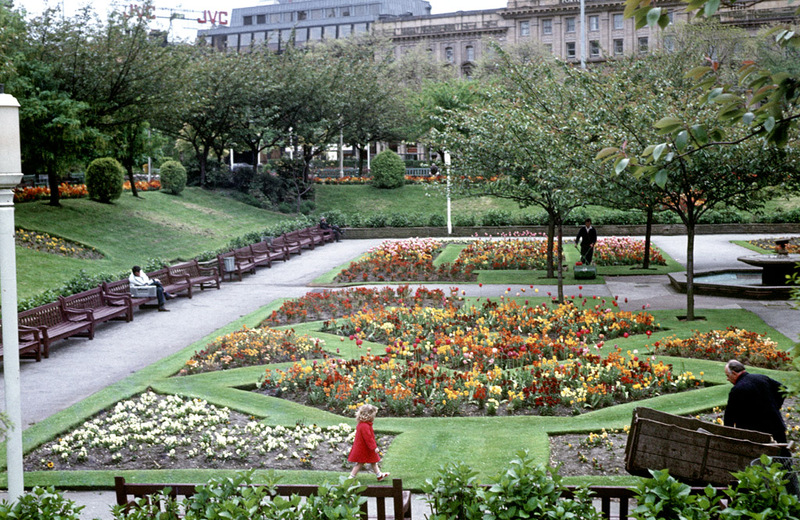 Piccadilly Gardens, Manchester, in 1983. 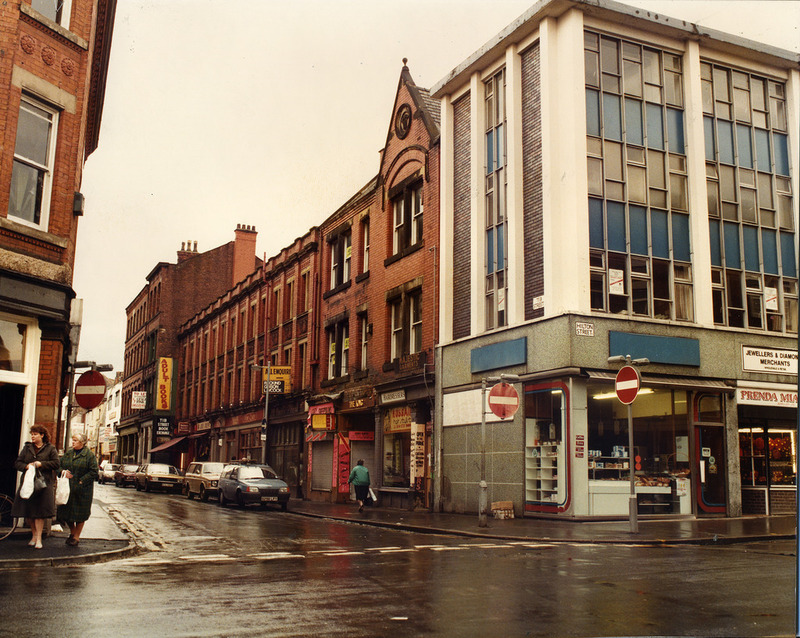 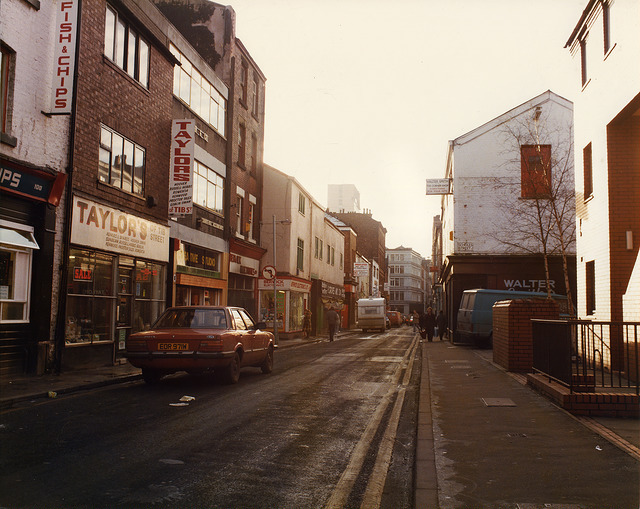 View along Corporation Street looking south towards Cross Street, showing the west facade of the Arndale Centre on the left of the picture. 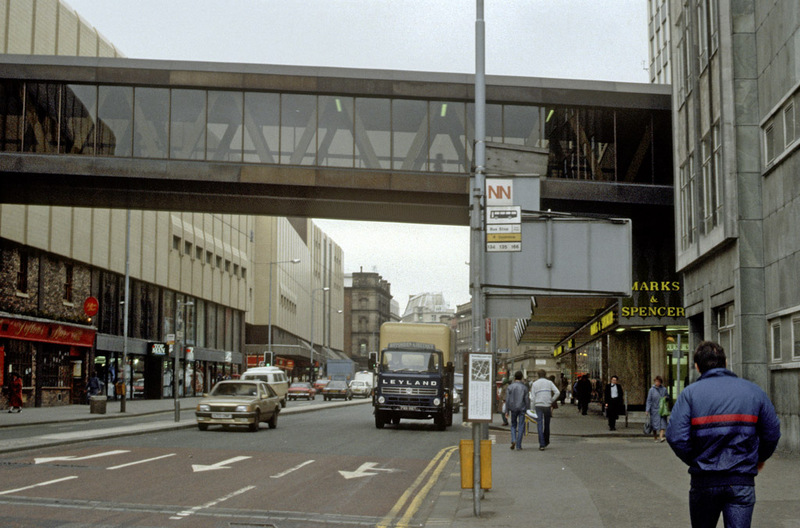 The footbridge linking the Arndale Centre to Marks & Spencer’s and Market Square can be seen at the top of the picture. 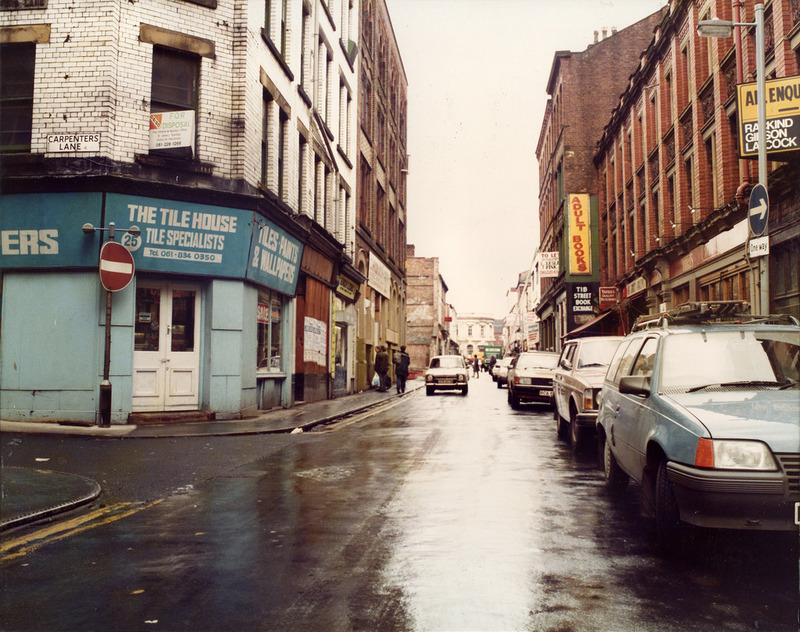 Photographed in May 1985, close to the spot where the IRA bomb exploded on 15th June 1996. 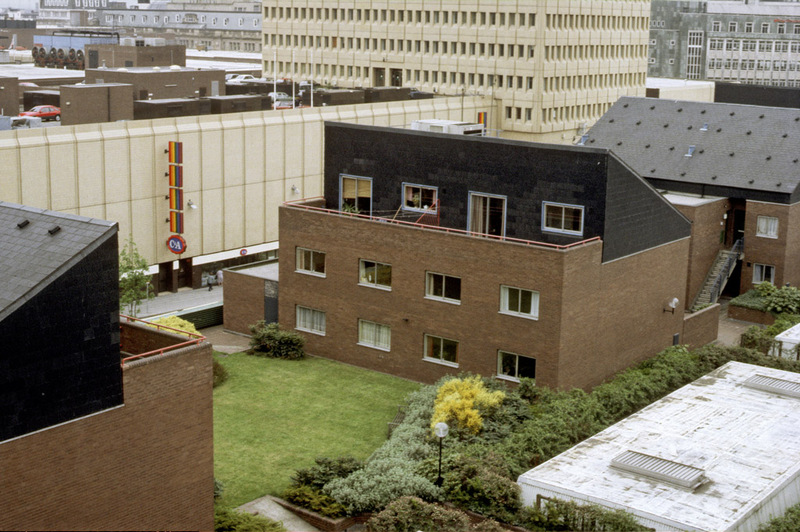 Maisonettes on the roof of the north section of the Manchester Arndale Centre, photographed in May 1985. 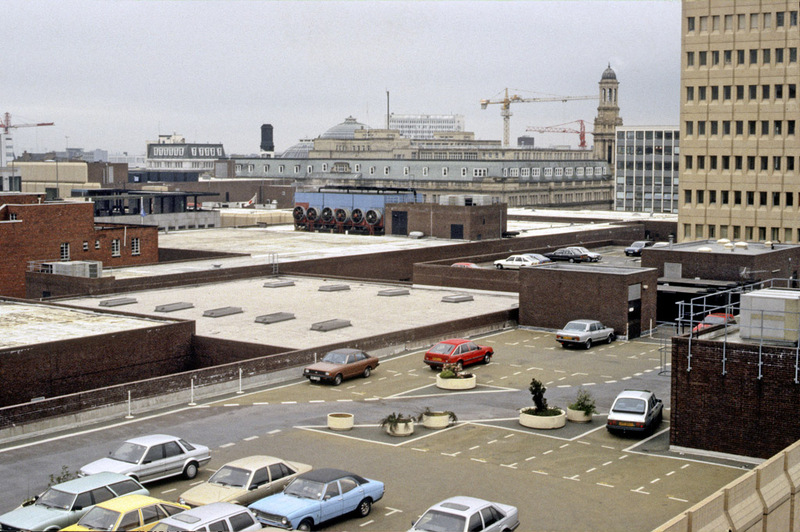 Roof of the Manchester Arndale Centre looking south west from Cannon Street to Market Street, with the Royal Exchange beyond. 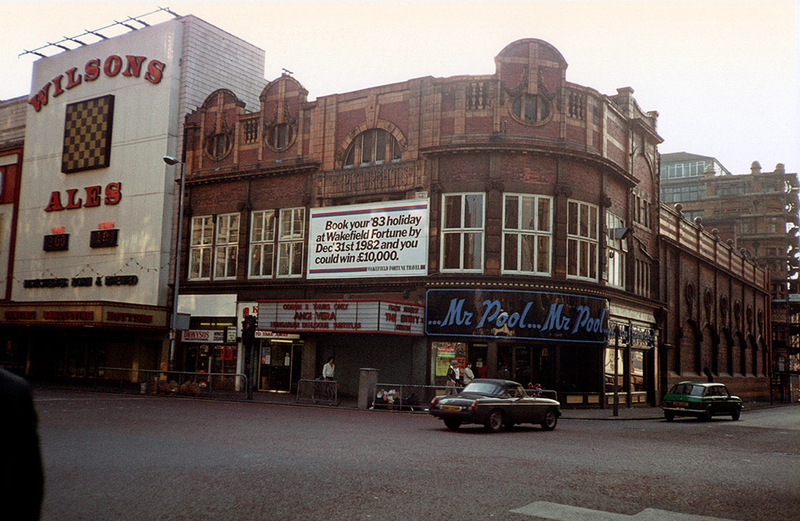 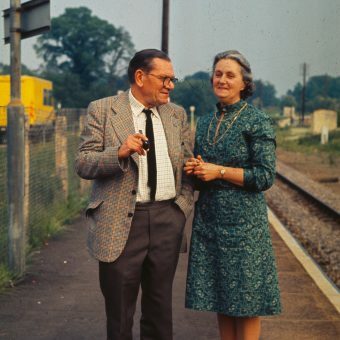 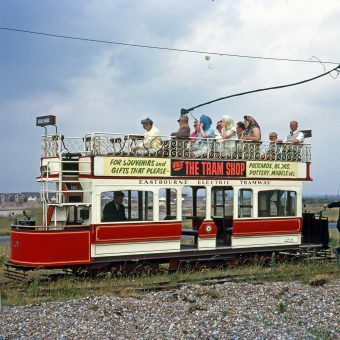 Photographed in May 1985. 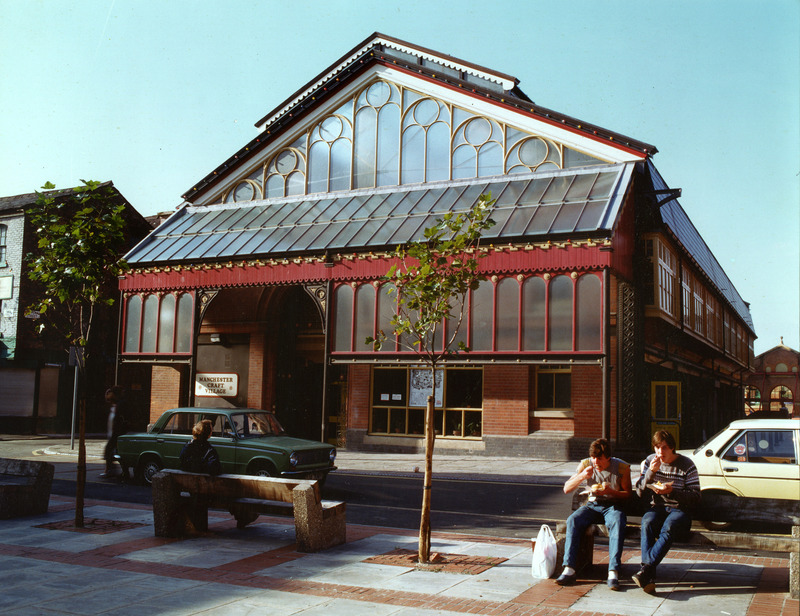 Exterior of the Manchester Arndale Centre showing the facade of the north section fronting on to Cannon Street. 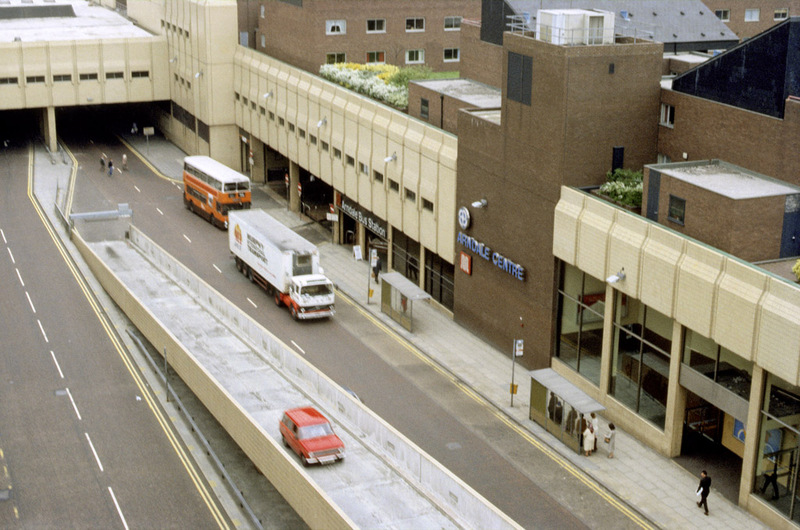 The bridge carrying the upper shopping mall over Cannon Street at the junction with Corporation Street can be seen at the top left of the picture, and the entrances to the bus station and the indoor market are also visible. 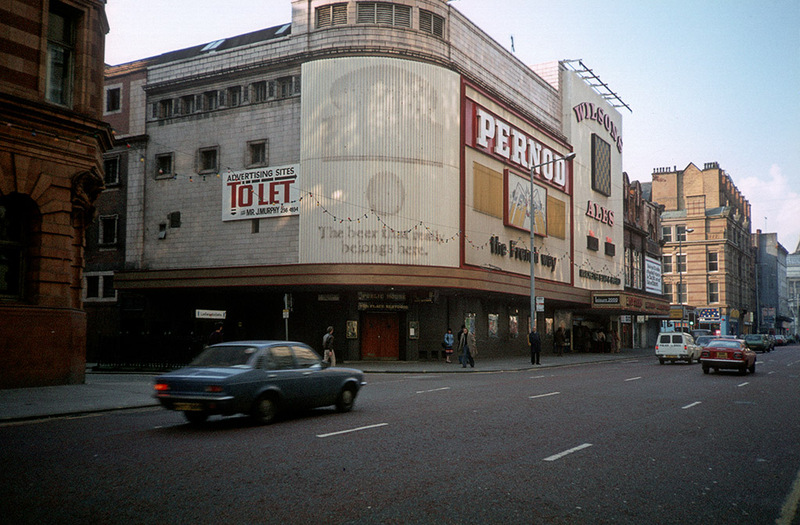 Photographed in May 1985. 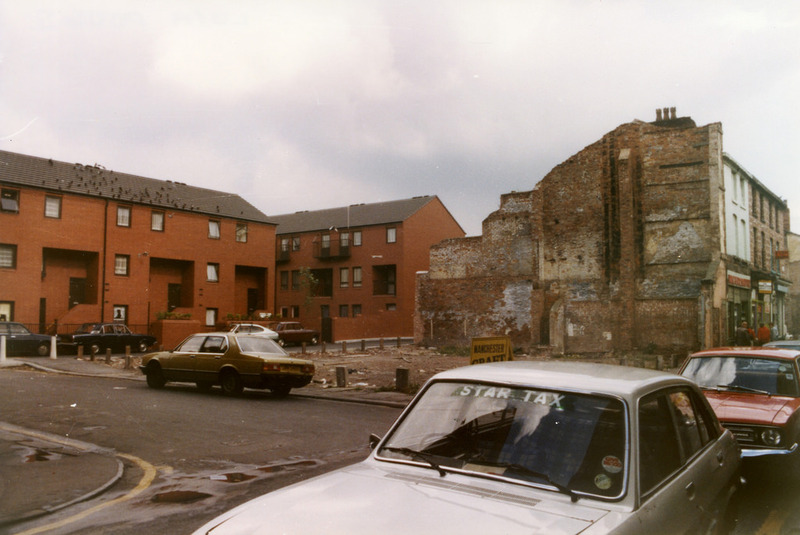 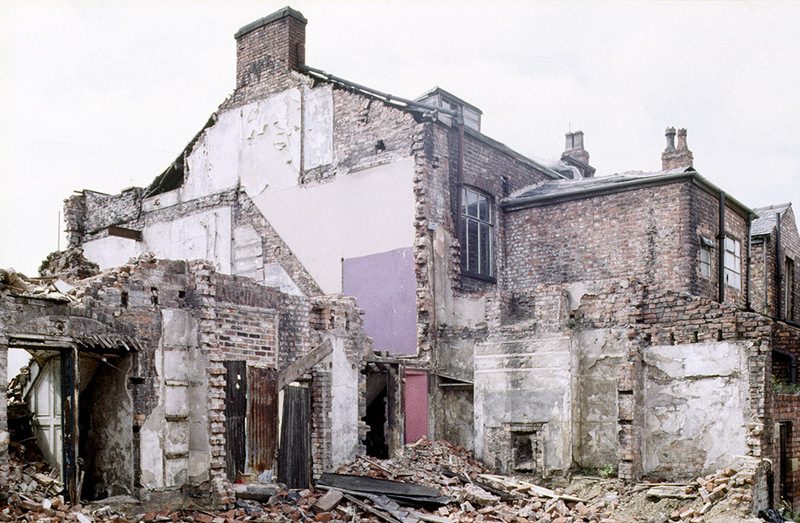 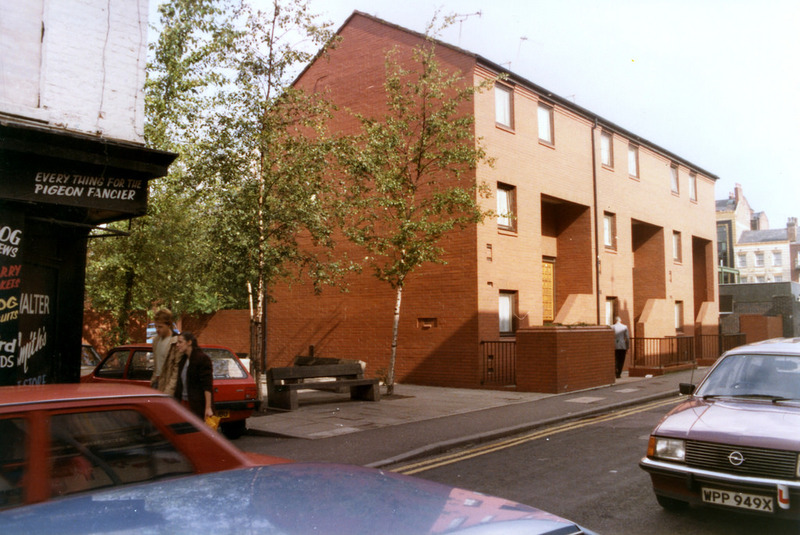 Houses built in the 1820s in Grosvenor Place, Oxford Road, during demolition in 1988. 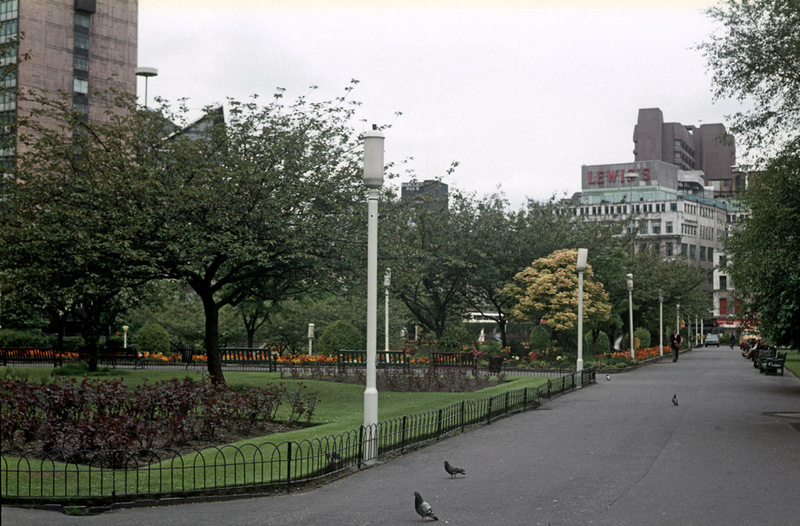 View of the children’s playground occupying the west side of Grosvenor Square, around 1980. 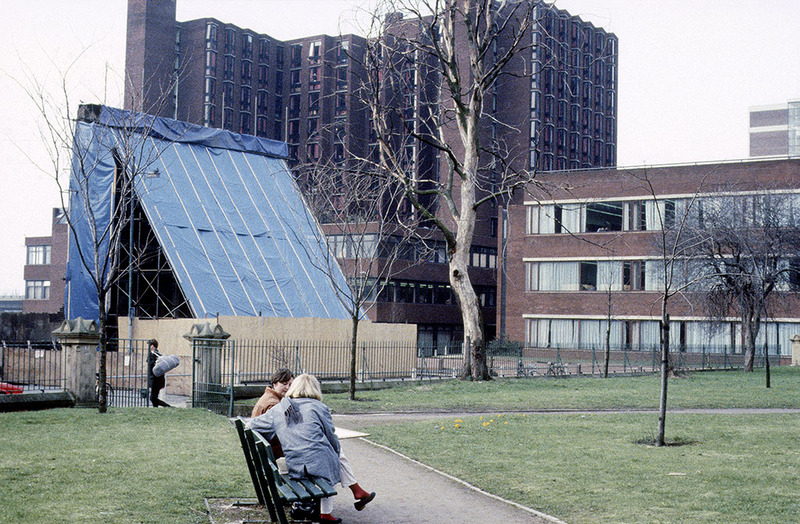 The early nineteenth century facade of the former Manchester Ear Hospital building is supported by scaffolding following the demolition of the rest of the structure in March 1984. 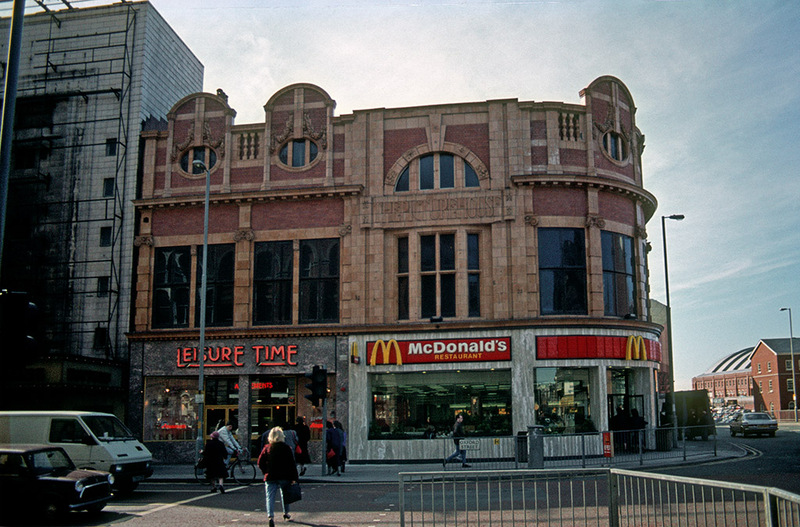 The facade was subsequently incorporated into the current Bellhouse Building. 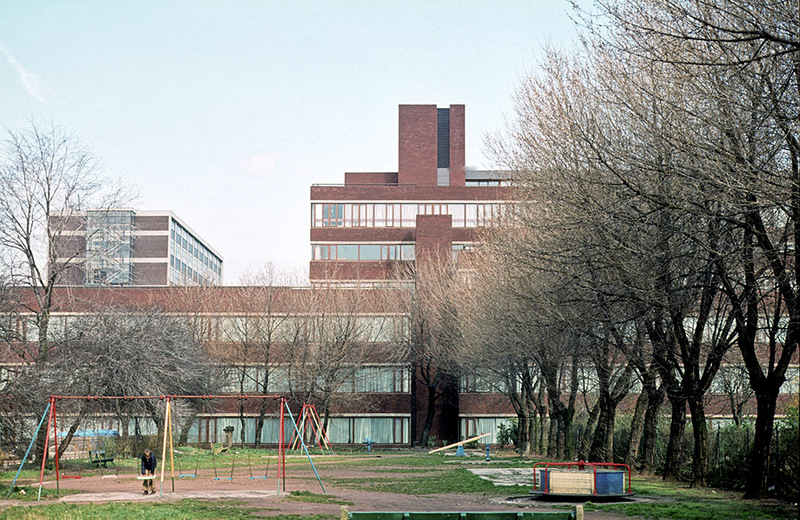 Manchester Polytechnic’s Loxford Tower and All Saints Building are in the background. 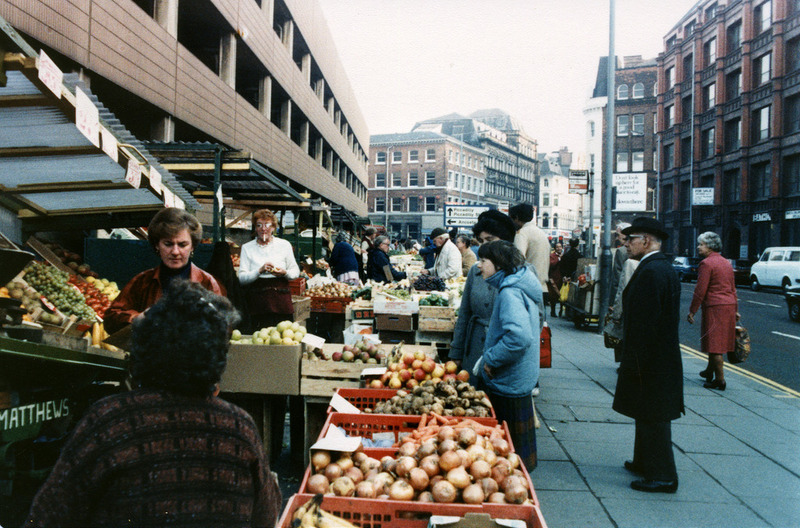 View along Market Street, looking west towards Cross Street, March 1989.